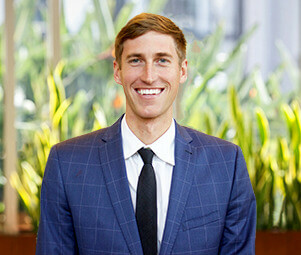 Matt Sundberg serves as an investment sales associate of retail leasing for Matthews™, representing both property owners and tenants. From private capital to institutional clients, Sundberg and his team represent a wide assortment of property types including shopping centers, high street retail, and ground up construction projects. He leverages his in-depth market knowledge and network to provide the best strategies for his clients and ensure the greatest long-term growth and profitability. On the landlord representation side, Matt provides strategic direction for owners in order to maximize the value-add of their centers. Leveraging his comprehensive knowledge and experience in analyzing business revitalization of investment strategies, Matt guides his clients towards their investment goals through commercial real estate. Completed over 50 New Leases with over 100,000 Square Feet and 25 Renewals. Prior to joining Matthews™, Sundberg worked as a leasing manager at WRS Inc., where he represented over 25 Wal-Mart shopping centers across the South East. He worked closely with multiple retailers, business owners and brokers to build strong relationships and expand his network. Sundberg’s dedication and success earned him the company’s awards for Highest Producer for the years 2015, 2016, and 2017. Matt has worked with and completed transactions with Hibbett Sports, Dollar Tree, Massage Envy, Children’s Healthcare of Atlanta, Sprint, AT&T, Heartland dental, T-Mobile, Jersey Mikes, Great Clips, Edible Arrangements, Liberty Tax, Metro PCS, Cricket Wireless, Lee Nails & Spa, and more.